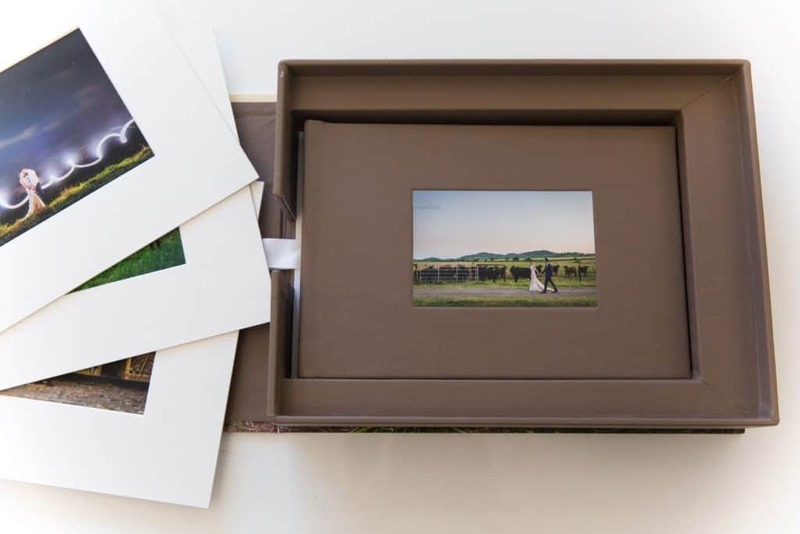 Our Vogue Album Suite Collection is the perfect product for engagement shoots, family portraits, newborn photography, maternity shoots or a pre-sold wedding album package! 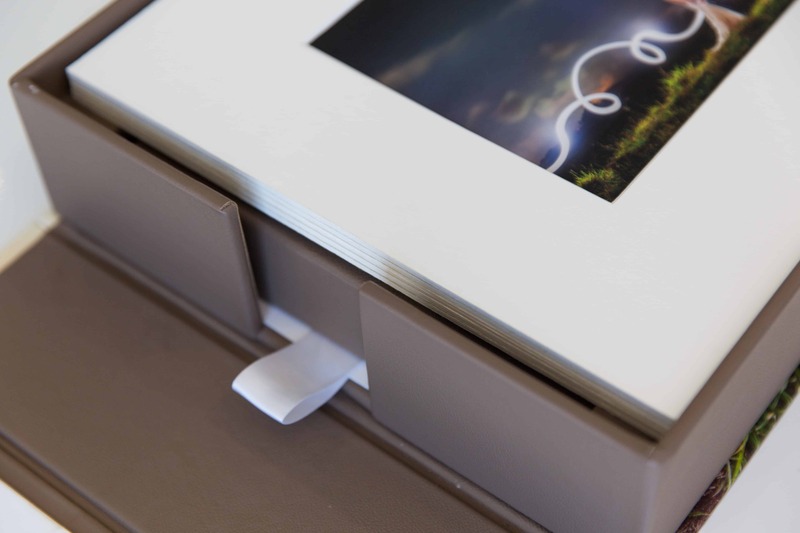 Consisting of five matted prints, a beautifully hand-made Vogue album up to 25 spreads and a gorgeous custom box, the Vogue Suite will be a talking point once on display in your client’s home. 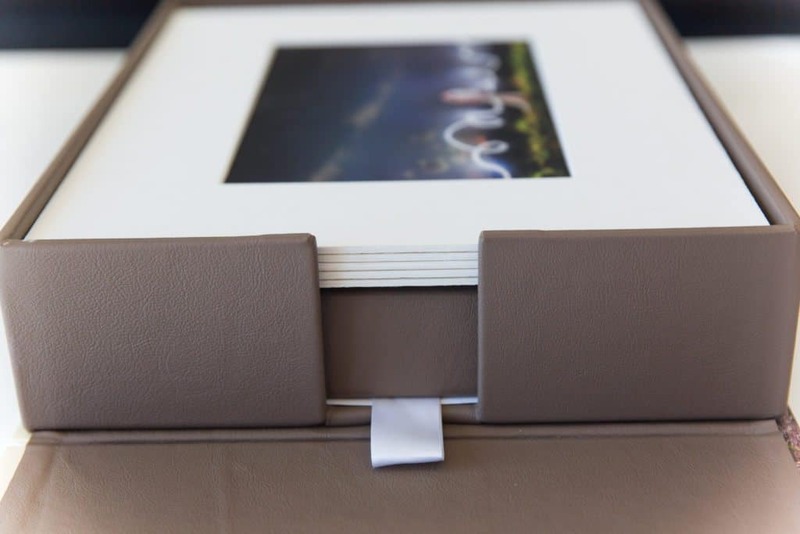 Handmade in Brisbane by our highly skilled team, each Vogue Suite is carefully constructed ready for you to present to your client. 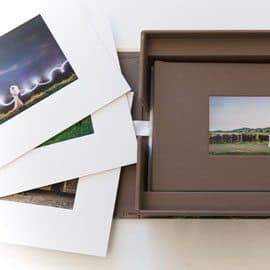 The Vogue album and matted prints are printed on 235gsm archival art papers imported from the United States (using genuine Canon pigment inks). To create the block we use a specialised adhesive that we have used for decades which we knows stands the test of time. Many low cost albums use PVA glue or other cheap adhesives that risk delaminating in the long term. Album Covers	 Genuine Leather, Full wrap or ½ Photo Cover, Leather Look, Hemp, Coated Cloth, Uncoated Cloth. 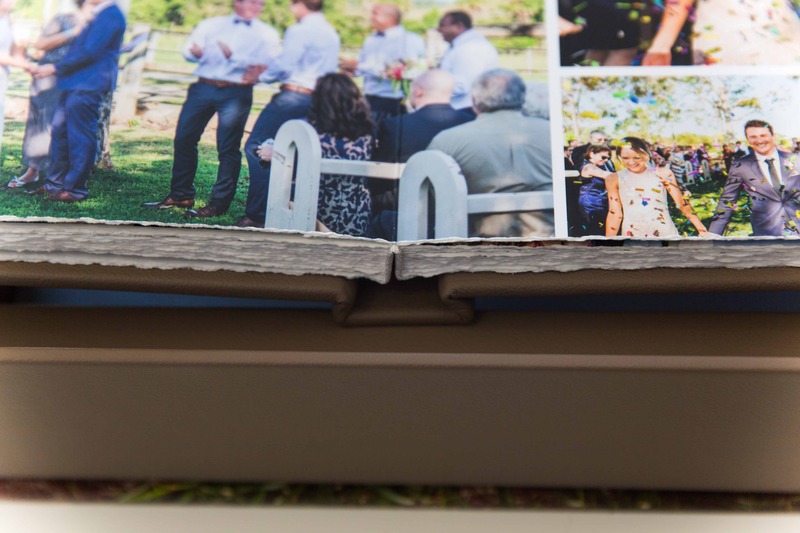 Album Cover Embossing name or logo	 Uncoated Cloth, Coated Cloth, Leather Look, Genuine Leather. 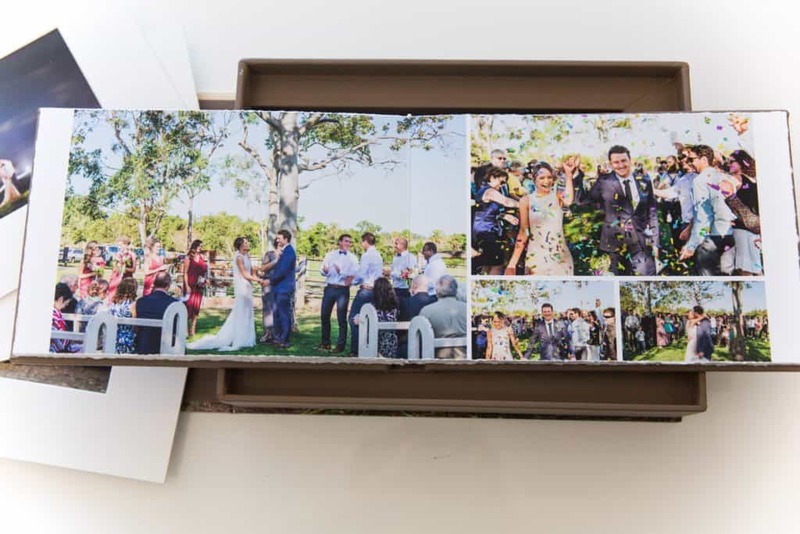 Box Size	 14" x 11"
Box Cover	 Full Photo Cover Wrap, ½, ¾ Photo Cover Wrap, Uncoated Cloth, Coated Cloth, Leather Look, Hemp, Genuine Leather.